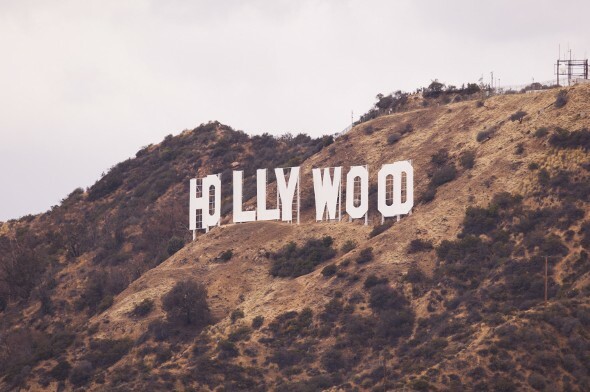 Are you considering moving to Los Angeles? There’s a lot you should know. No, not everyone is in the entertainment industry. Yes, the avocados really are that good. Moving to LA can be a little intimidating if you’re not familiar with the neighborhoods and the culture. 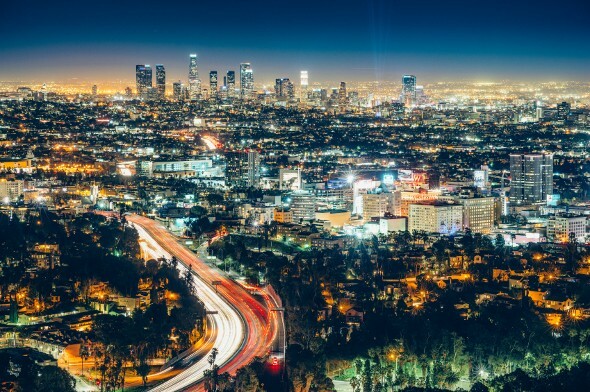 Here are 17 tips for anyone who’s moving to Los Angeles. Related Article: Does it make sense to rent or buy? Yes, the traffic is as bad as you’ve heard. And it’s really tough to do without a car. 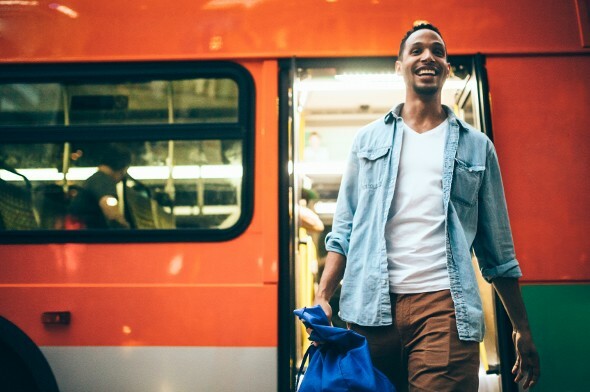 If you’re strategic about where you rent an apartment you may be able to take a bus to work. Still, relying on buses, bikes and ride-share apps can be limiting. If you’re low on funds or want to minimize your carbon footprint, by all means try going car-free. Just be aware that it will probably be tough. You don’t take 405, and you definitely don’t take I-405. You take *the* 405. That’s right. Highways in Los Angeles get a “the” before them. And yes, this is important. You’ll probably spend a lot of time talking with your friends and coworkers about traffic and driving. When you arrive at a party you may spend the first 10 minutes discussing your routes and the traffic you encountered. Plus, freeways are major dividers in LA. Work west of the 405? You probably want to live west of the 405, too. Here in SmartAsset’s home of New York, it’s easy to spot the LA transplants. They’re the ones complaining about the lack of good Mexican food. Whether your favorite spot is a truck in a parking lot or a small restaurant in a nondescript shopping mall, you’ll probably talk it up to anyone who will listen. You’ll also be close enough to Mexico to make quick jaunts a possibility, assuming there’s room in your budget. In part because of the traffic and in part because of the laid-back lifestyle, time works a little differently in Los Angeles. People arrive late, apologize and arrive late the next time, too. The good thing is that Angelenos are pretty forgiving. If you’re used to late nights, get ready for a culture shift. LA bars close at 2 AM (compared to 4 AM in NYC) and people start -and end – their days relatively early. Given LA’s beautiful sunrises, it’s not too surprising that Angelenos like to get a jump on their day. Again, it’s easy to get an early start when the sun is shining and the temperature is perfect. While LA does experience gray, rainy days from time to time, in general, the weather is sunny and comfortable. Don’t forget to wear sunscreen. If you have a beloved collection of sweaters, coats and hats you may want to pare down before moving to LA. Consider hosting a clothing swap with friends before your move. Want to live in a hipster neighborhood – or just visit one for some fancy coffee? In LA, the hipsters cluster. For a safe bet, head to well-known hipster hotspots like Silver Lake or Echo Park. Of course, the fact that those two neighborhoods are well known means they’ve already lost some of their hipster cache. When was the last time you went to a dinner party or hosted one yourself? If you’re a New Yorker, it may have been a while. In LA, though, people host dinner parties. The amazing produce and generally larger homes and apartments makes this easier. If you’re lucky enough to have some outdoor space attached to your house or apartment you can expect to spend a lot of time hosting. Yes, the weather is sunny, but it can feel cloudy and stuffy on days when the smog is bad. The air quality in Los Angeles isn’t exactly stellar. It’s not a city where forgetting to refill your inhaler prescription is a good idea. The LA smog may inspire you to make weekend trips outside the city. LA is pretty casual. Unless you’re a high roller shopping at designer stores and hitting expensive clubs, you can probably shrink the size of your formal wardrobe. Shorts and sandals, yoga pants and sweat pants won’t turn heads here. As long as you have sunglasses, you’re good. How does anyone find out about the funky dive bar/live music venue or the amazing food in a strip mall next to a dry cleaner? It’s a lot of word of mouth. Sure, there are newspapers, magazines and blogs that cover LA’s ins and outs, but you’ll get some of your best recommendations from friends and coworkers. If you think of hiking as that thing you do once every summer, get ready for a lifestyle change. In LA, a quick 1-hour hike can be easy to build into your routine. Hiking in LA is as easy as driving to a trail head. No need to pack a ton of gear, stay overnight or pay national park fees. Just remember to bring enough water and be sun safe. If it seems like people in LA (and California in general) have a healthy glow, you’re not imagining things. The cult of wellness is alive and… well in LA. It’s a city where people work out, eat healthy and love to tell you all about it. Don’t be surprised if you catch the wellness bug and decide to adopt a plant-based diet, drink green juice, wear crystals or follow whatever other wellness trends your friends are talking up. It’s easy to eat healthy when you have access to amazing LA produce. LA is a farmers market-lover’s dream. We mentioned the avocados, but that’s just the beginning. Think citrus, tomatoes, lettuces and more. If you’re trying to save money by cooking at home and avoiding restaurants but you can afford a few farmers market splurges, you won’t be disappointed by what you find at the local stalls. Though it’s not as close to wine country as San Francisco or Oakland, LA still has a strong wine culture. And because LA has a more casual, anything-goes food culture than NYC, the wine scene is anything but stuffy. Why not pick up a bottle to go with the farmers market feast you’re serving your friends at your next dinner party? When you’re moving to LA it’s important to choose your neighborhood carefully. You may even want to stay with friends or find someplace cheap to stay in the short term so you can hunt for an LA apartment in person. Because of the heavy traffic and the long travel time between neighborhoods, people often lay low on the weekends. It’s worth living close to your friends and in a neighborhood that feels like a good fit. Whether you want low-key and family-friendly or lively and happening, you can probably find your dream home. Just remember to keep your work location in mind when you’re choosing where to live. You don’t want to spend your life in the car. 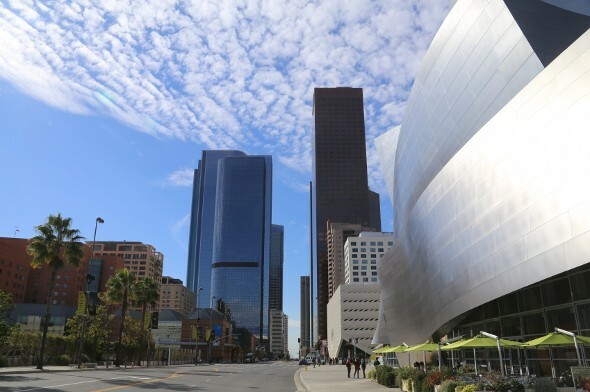 Downtown LA has its charms, sure, but unlike some other cities, LA isn’t defined by its downtown. The happening area is outside of the official downtown – think: West Hollywood. West Hollywood and Hollywood are different, by the way. And there are neighborhoods between Hollywood and West Hollywood. 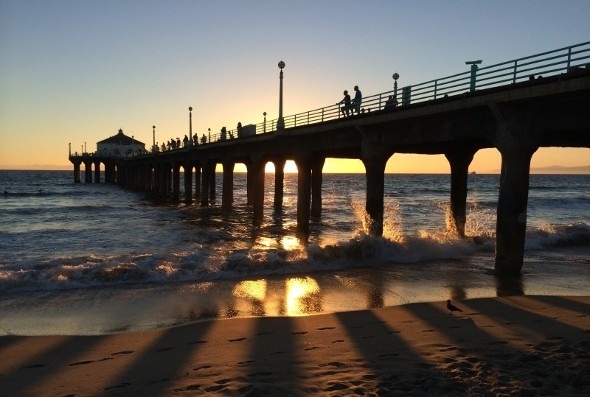 If you’re moving to Los Angeles and you’re prone to complaining, prepare for an attitude shift. Despite the traffic and the smog, Angelenos are a positive bunch, with dispositions as sunny as their surroundings. There’s plenty of reason for that upbeat approach in such a diverse, historic and artistically rich city. 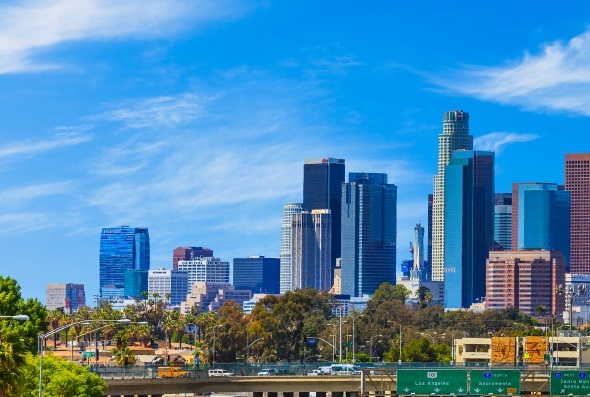 If you are moving to Los Angeles, it’s a good idea to understand how the change will impact your budget. You may want to pick a new bank that is popular in the area and has good features. These are the best banks in Los Angeles.